From Adidas to Marriott and McDonald’s, multinationals are joining the war on plastic. What is the economic impact? First invented by an American named John Wesley Hyatt in 1870, the plastics industry started to take off as part of wartime manufacturing efforts during WWII, before turning to focus on consumer goods. It was hailed when discovered as a more durable and cheaper option which can be used to produce an enormous abundance of daily products, giving consumers better access to more goods. According to Plastics Europe, one of the world’s largest plastic producers, 1.5 million tons of plastic were produced in 1950, but by 2015, that number rose to 322 million tons globally. McKinsey predicts global plastics-waste volumes will grow from 260 million tons per year in 2016 to 460 million tons per year by 2030. While the industry grew, it wasn’t until very recently that we began to pay more attention to the devastating impact this material was having on the environment – from disposal of fabric to single-use bags to micro-beads. 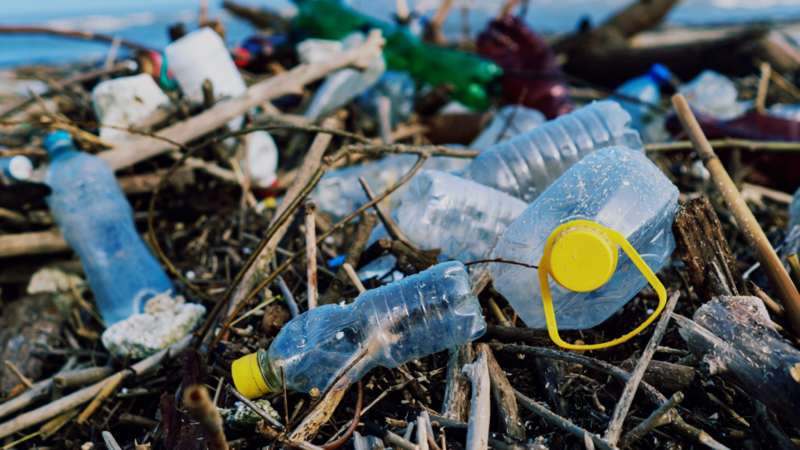 It’s clear, however, why plastics manufacturers are fighting hard to retain the status quo, despite clear evidence of ineffective waste management around these products, and a recent uptick by environmentally conscious groups in supporting plastics bans. The market is valuable. An estimate from Grand View Research, Inc in 2016 predicted the global plastics market was estimated to reach $654.38 billion in value by 2020. For single-use bags alone, which are the focus of some recent efforts toward banning the material, the US plastics industry makes $4 billion in profits from the retail sector. As the alarms continue to sound, private companies are beginning to take matters into their own hands. First there was a ban on harmful microbeads in cosmetics products that we realized were flying straight into the ocean. Then the plastic straw ban took hold after biologists released a disturbing video featuring a sea turtle with a plastic straw caught in its eye, alerting the world to the depth of the current problem. While it may not seem like much, the world disposes of millions of plastic straws everyday, and nearly all are too lightweight to be properly recycled, resulting in a significant amount of waste entering the environment. Major hotels are some of the largest culprits, and a number of cities and hotel chains globally are jumping onboard the ban – from the US to Belize and Taiwan, from the Four Seasons and Marriott International to Carnival Cruises and Wilderness Safaris. Restaurants like McDonald’s and Starbucks, as well as Alaskan and American Airlines have also committed. Some argue, however, that single-product bans, like plastic straws and single-use bags, are perhaps misguided as this doesn’t solve the larger problem around proper waste management practices, and consumer behaviors that tend toward wastage. That’s not stopping straw and single-use bag bans from rolling out across the US, Europe, and East Africa. But other major corporations are also stepping up to play their part across the entirety of the production line. While the plastics industry fights against plastic bans in a struggle to remain relevant, a new industry with promise for substantial value may be opening up for these same firms by way of plastics recycling. According to the study, currently just 12% of plastic waste is being reprocessed into new plastic while the “‘leakage’ into oceans is primarily due to lapses in landfill management or a complete lack of waste-disposal systems,” indicating there is a significant amount of value currently being lost. As both sides continue to amp up in press and social media wars over benefits and drawbacks of a ‘plastic ban’, new industries are emerging around the battlefield. From startups crowdfunding for products that offer alternatives to plastic materials, to the promise of finding value in the circular economy, the potential decline of a long-standing manufacturing industry may bring instead the emergence of an entirely new, and environmentally friendly, ecosystem. For brands looking to target a younger, more socially conscious audience the benefit of jumping on this bandwagon may outweigh the cost.